Our bedrooms are a refuge from the outside world. And, considering that we spend around about a third of our lives asleep, it makes sense for our beds to be as comfortable as possible. As an experienced Carpenter, we can make you a bed from which you’ll never want to leave. Keep reading to see why you need a custom bed, Singapore. Design the bed around your space. Have a modern, clean design to show off your décor to perfection. Alternatively, choose a platform bed to make a real statement. Maybe if mobility is an issue for you, a bed box designed to be easy to get in and out of could be a great choice. You decide what you want, and we’ll create the best custom made bed Singapore has to offer. If you can walk into any furniture store and get a frame, you might wonder why you’d want a custom made bed frame, Singapore. It’s simple. Off-the-shelf frames are quite generic. In many cases, all you’re getting is a mattress with feet on it. It’s practical, but not really all that impressive. What if you want something with a bit more style? Something that is a design feature as well as a bed? What if you’d like something that is built for the space that you’re in, rather than having to adjust your room to what’s available out there? Contrary to popular belief, adding a custom bed can be an excellent option when space is an issue. These beds can have built-in drawers underneath to give you extra storage space. You can choose something more modern along the lines of a floating design to create the illusion of space. It’s no surprise why people are choosing to have a custom made platform bed, Singapore. Custom platforms can also help to divide the space more distinctly. This is a great option if you’re living in a studio apartment. We can create a sturdy bed for you that doubles as a couch during the day. We’ll even build in storage underneath. At night, you can take off some cushions and make up your bed. You don’t have to worry about an uncomfortable fold-out couch with springs that jab you at every turn. Maybe you need something a little more specialised. Maybe you want to take full advantage of the vertical space by having a double decker bed. Think about what your dream bed is, and we’ll see if we can bring it to life for you. It couldn’t be easier. All you need to do is to book a consultation. If you have a firm idea of what you want, that’s great. If not, speak to us about your space and style, and we’ll go over your options with you. We can measure your room and come up with unique ways to create a bed that fits well and offers versatility. All you need to do is to get in contact with us. Use the convenient booking form, and you don’t even have to dial your phone. Give us an idea of what appeals to you and the space we’ll be working with, and we’ll have you sleeping on your dream bed in next to no time. Or, fill in the form below. We offer custom made bed frame & platform for residential in Singapore since 2015. 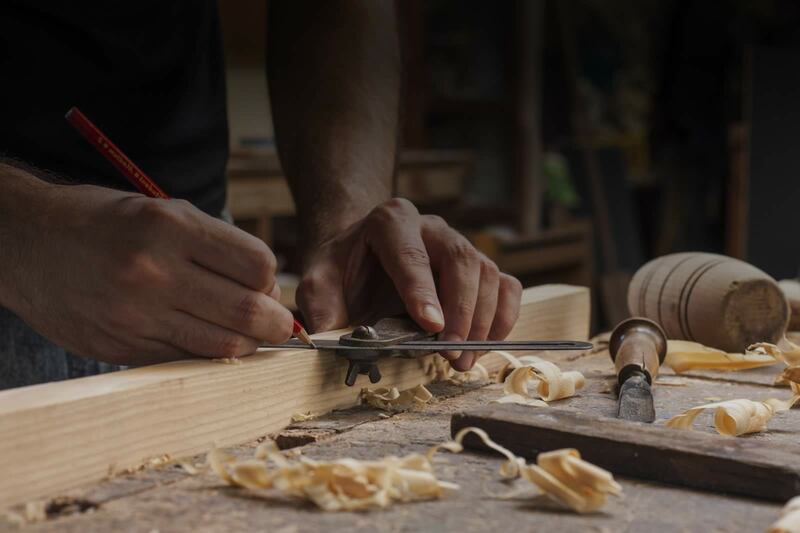 At Carpenter Lane, we have a simple guiding principle that has helped us build our business into the success it is today — Nothing but the best will do. Our clients are our most valued assets, our very reason for being in business.